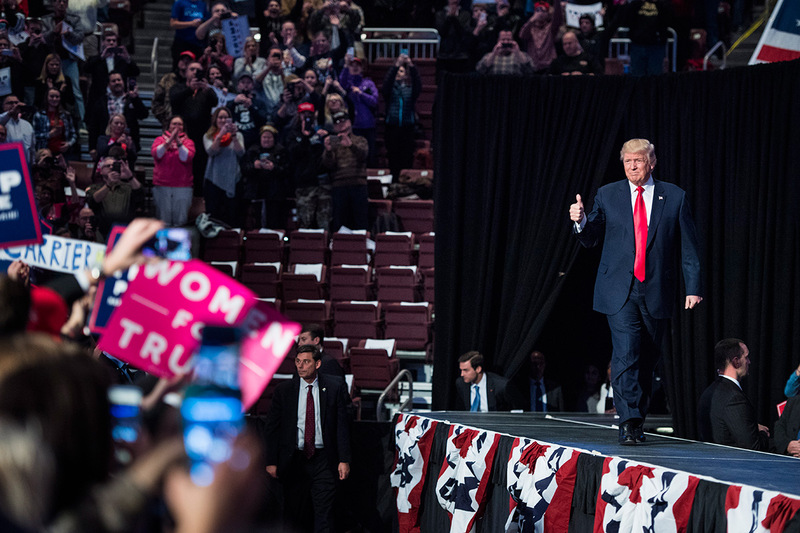 Seemingly unaware or disinterested in the fact the campaign is over, Trump embarked on a “Victory Tour” — later, rebranded as a “Thank You Tour” —visiting only the states he won. His first rally in Cincinnati was half empty. Trump embarked on a “Victory Tour”— later, rebranded as a “Thank You Tour”—visiting only the states he won. His first rally in Cincinnatti, like many that followed, were half empty.